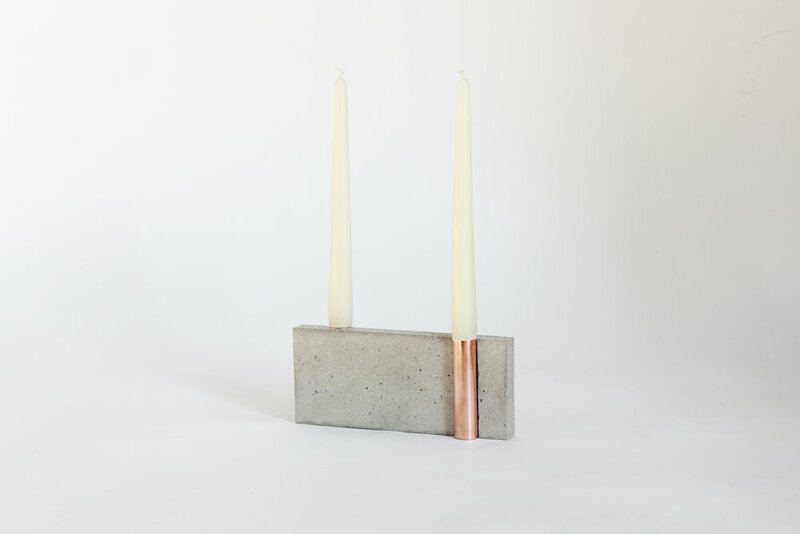 The MASAL Candle Holder is a modern interpretation of a design classic. Showcasing highly reflective copper cylinders lain in concrete, MASAL is stylish and practical. This simple combination of structural materials produces a timeless piece.